Media today has revolutionized the way we access news and how we communicate with the world. With the future of media changing every day, digital media especially plays a pivotal role in the development of our society, and can even be equated to the affect writing, publishing, and language has had on the world. The evolution and change in media we have experienced arose because of the advancement of digital technology – and this advancement and innovation is an opportunity to see what the ‘futures’ have in store for us. 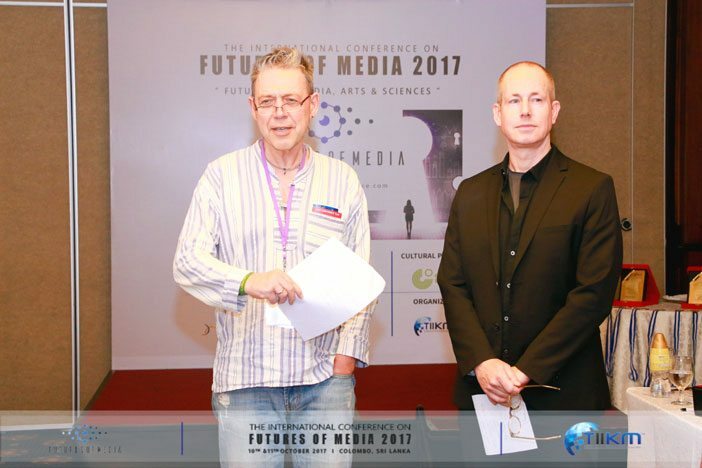 On the 10th and 11th of October, 2017, the first International Conference of Futures of Media was held in Colombo, Sri Lanka. The conference was co-chaired by Dr. Markus Heidingsfelder, Assistant Professor Communication & Design at Habib University, who is also the founder behind this successful conference, and Dr. Holger Briel, Assistant Professor Communication Studies & Design at Xi’an Jiatong Liverpool University in China. Both Professor Paul Sermon and Dr. Charlotte Gould of the University of Brighton were recipients of awards – Professor Paul Sermon for Best Presentation, and Dr. Gould on her presentation ‘Edwardian Selfie to Telepresent Comic’. 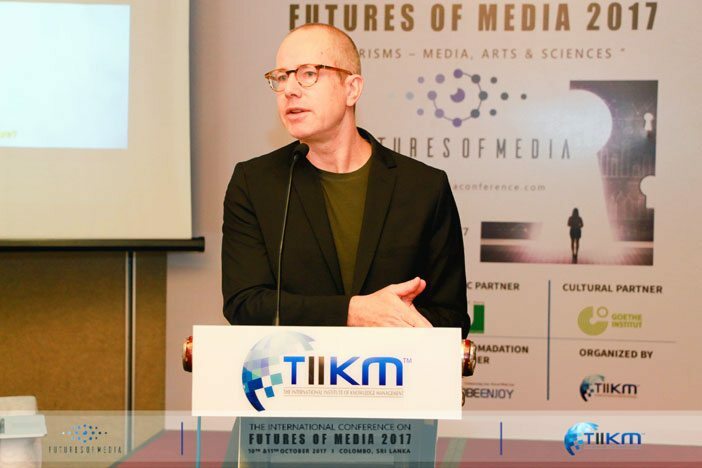 The Futures of Media Conference not only represented Habib University internationally, but has opened floodgates for opportunities for more faculty and student participation in global events. The co-founders of the Conference were also impressed and delighted to use the minimalistic yet brilliant logo, which was expertly designed by Habib University student, Hammad Siddiqui, who is currently a senior year Computer Science student.